MOBAs might not be the genre de jour anymore, but they're still one of the most popular game styles in the world, with titles like League of Legends and DotA still bringing in tens of millions of players a month and leading to tens of millions of dollars worth of prize money being one by professional players every year. Unlike other game types, though, it's not an experience that has been effectively transferred to the tabletop. Until now. Cloudspire is already a Kickstarter success story, raking in some $475,000 worth of pledges from interested gamers from some 3,770 backers, all with two days to go until it's campaign is complete. But it's not the funding of the game that's interesting, but the type of play it offers. 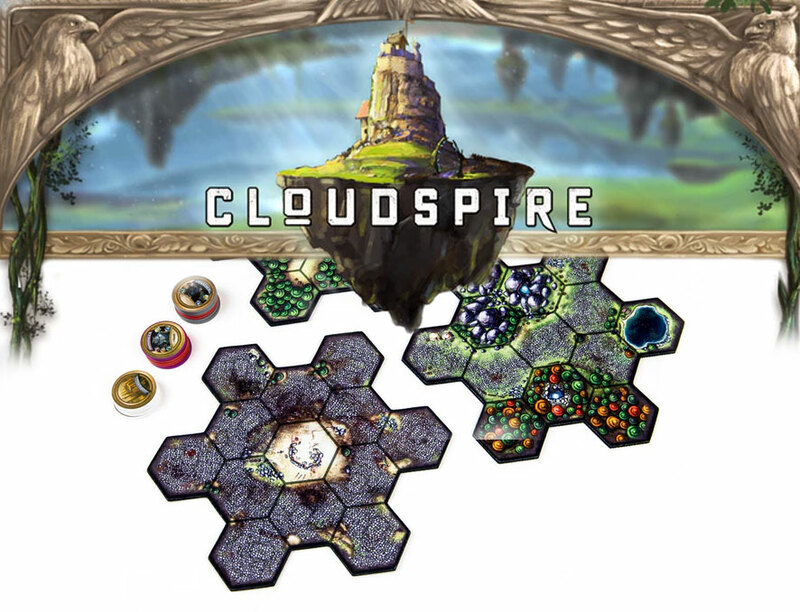 Cloudspire is a MOBA board game with tower defense elements. There are four races to play as in Cloudspire, and you'll be charged with battling your opponents with a variety of monsters, warriors, and weapons, as your homelands edge closer to one another throughout the game. Heroes, units, weapons, and augmentations are moved across the map, looking to gain resources and map control, unlocking "Spire" towers which lead to better units and tools to play with. All of that leads to increasingly more epic battles across the tabletop. If you want to kick into Cloudspire's development now, you can pre-order a copy for $100. That gets you all the stretch goals too, though if you want the expansion too, you'll need to throw in an extra $50. The campaign ends on November 8.